The author of Class Mom talks about the five years she spent volunteer at her children's school, and how she mined that experience for her debut novel. The call goes out every year in schools across the land: Who would like to sign up for class parent duty? 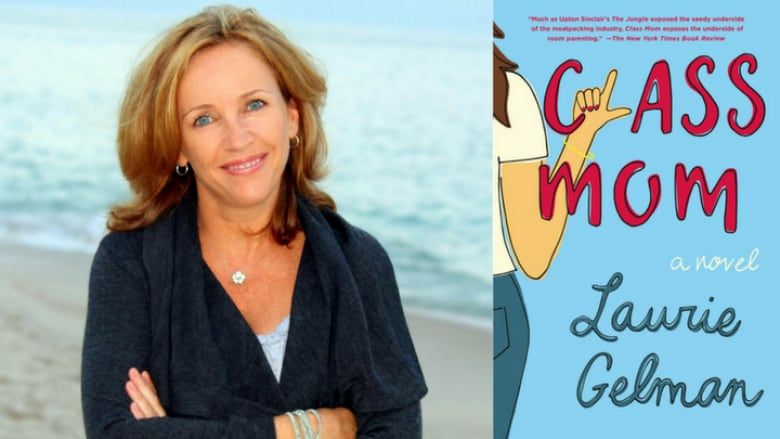 Laurie Gelman volunteered and now she's transformed her experience into a funny novel called Class Mom. It follows a year in the life of a mother who has to navigate tricky school politics along with special requests to bring brownies to curriculum night. This interview originally aired on Nov. 13, 2017. "I started to think about writing the book about five years ago because I needed a creative outlet. I hadn't been a journalist for a few years — I'd been raising my children — but I didn't know what I wanted to write about. I was having lunch with someone and I was going on and on about the misery I was having as the class mom, and he just looked at me said, 'That's your book, write about that.' It took me three years but I got it out, and here it is. Class Mom." "I was a class mom for five years. When I started, I was excited and thrilled to be asked. But by the third year, I got why no one wanted to do it. By the fifth year I had said, 'I don't want to do this anymore.' And they said, 'But everybody loves you as class mom.' They were feeding into my ego, and I was the martyr, so I agreed. I was known for writing snarky emails, and they looked forward to reading them. They never knew what I was going to say and it made them laugh. But in the fifth year, I offended a parent. My tone really bothered her, so she went to the head of the school and had me fired as class mom. That was another reason I wanted to write the book. I feel like there's a lot more I could write about this character. She's very engaging, people seem to connect with her. It wouldn't be hard to write another book with her as the protagonist. We'll see what happens." Laurie Gelman's comments have been edited and condensed.